Tim Heidecker is a comedian, writer, and actor, best known for his collaborative TV shows with comedy partner Eric Wareheim. Born in Allentown, Pennsylvania, Tim attended Allentown Central Catholic High School and later Temple University. His career began in 2001, when he played an orderly in the horror comedy The Attic Expeditions. A year later he would work on the first of many collaborations with Wareheim with the animated shorts Tom Goes to the Mayor and Tom Goes to the Mayor Returns, which would eventually result in a limited series run from 2004-2006 on The Cartoon Network's adult animation block Adult Swim. Tim and Eric returned to Adult Swim a year later with the comedy series Tim & Eric's Awesome Show, Good Job! which ran from 2007-2013. 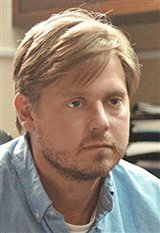 During this period Tim would begin to venture out into film taking on small roles in films such as the indie drama Terri (2011), the comedies Bridesmaids (2011) and The Five-Year Engagement (2012), before finally landing a lead role in The Comedy (2012) as well as the feature film Tim & Eric's Billion Dollar Movie (2012) with Eric, based on their TV show. Tim would continue to expand his TV profile with a sequel series to Tim & Eric's Awesome Show titled Bedtime Stories (2013-2017), voice work on the hit animated series Bob's Burgers (2011-2014), and a starring role on the crime comedy series Decker (2014-2017), which he co-created with Greg Turkington. Along the way he picked up more small roles in films such as the comedies A Merry Friggin' Christmas (2014), Entertainment (2015) and Vacation (2015) as well as Fox's Fantastic Four (2015) reboot. In 2017 he went the indie route with roles in films like Kuso (2017), Flower (2017), Sundowners (2017), and Brigsby Bear (2017), before making a small cameo in the 2018 Marvel film, Ant-Man and The Wasp . He also played the role of Josh Tyler/Tex in Jordan Peele's horror thriller Us (2019). When not working on his various TV projects or film gigs, Tim writes and composes music. During the time he lived in Philadelphia he played for various indie rock bands. Tim is also part of a music duo with Awesome Show composer David Wood, aptly named Heidecker & Wood. They released their first album, Starting From Nowhere, in March of 2011, which was inspired by 1970s soft rock. The duo would release a second album two years later titled Some Things Never Stay the Same. In 2012 he would contribute to a parody campaign jingle for Republican presidential candidate Herman Cain titled "Cain Train," which would eventually be added to the full album Cainthology: Songs in the Key of Cain. Tim released the album Urinal St. Station in 2013 with his band The Yellow River Boys, which was named by the Best Album of 2013 by Vice Magazine. And in 2016 Tim would release a solo album titled In Glendale. Tim is married to Marilyn Porayko, with whom he has two children: daughter Amelia, and younger son Charlie.